Installation and tenant improvements are the major parts of our company. 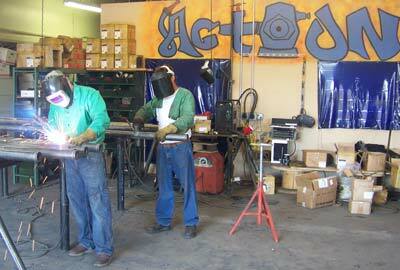 Action Fire is a service-oriented installation company. We specialize in short notice jobs and aim at meeting our customer's installation expectations. We specialize in the installation of automatic fire sprinklers in two areas: 1) clean rooms and other biomedical facilities and 2) high-piled storage upgrades. AFP does it's own underground installation in-house. Action Fire Protection has installed foam systems, pre-action systems and other special hazards. Please contact Craig Durand for a free quotation for installation.